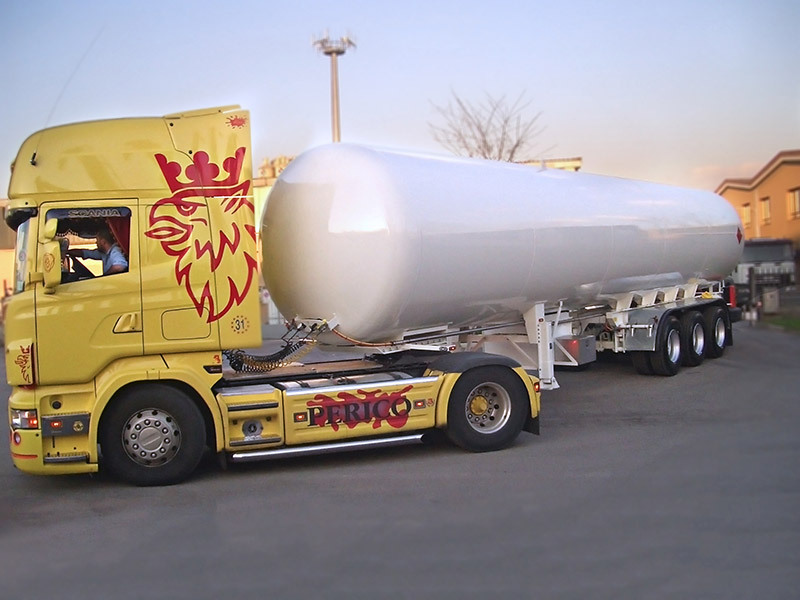 Custom design – our strong experience in several different countries worldwide taught us that it’s not the customer who needs to adapt to our product, we need to provide the customer what he actually needs in its everyday activity. 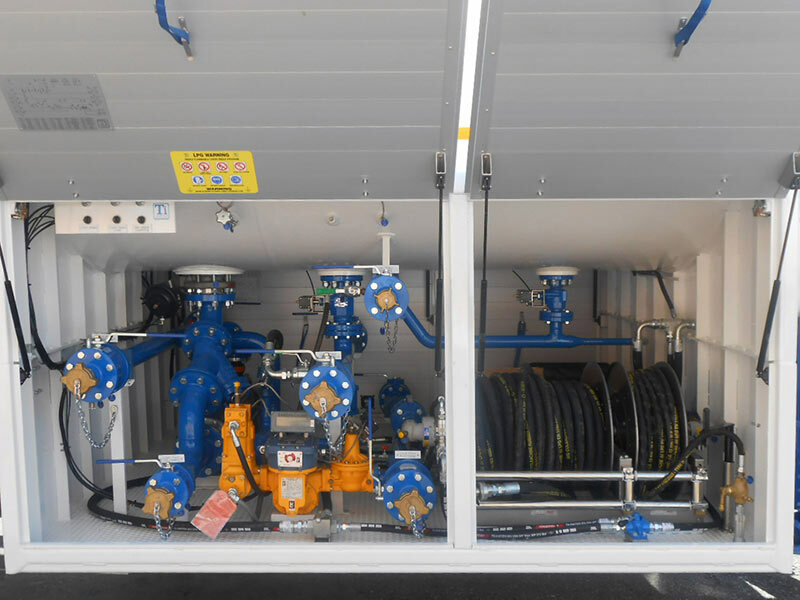 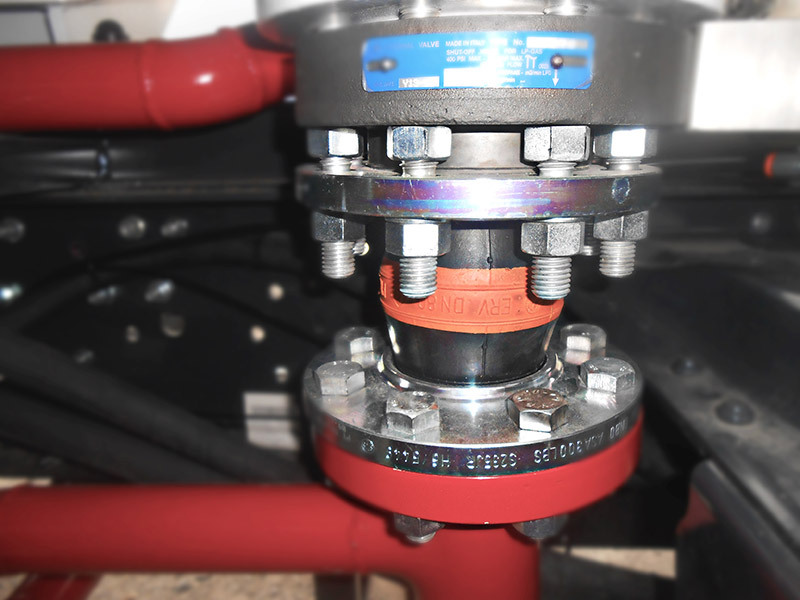 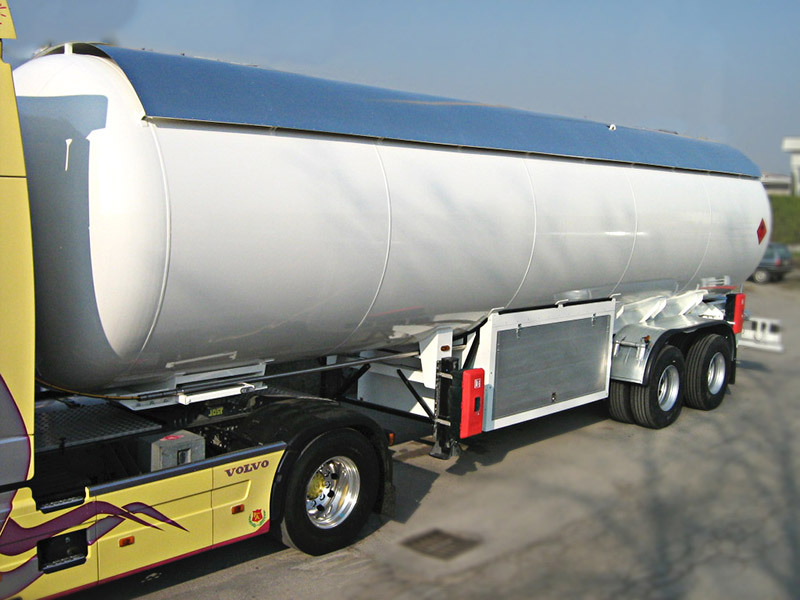 We can supply straight cylindrical or gooseneck LPG semitrailers, with pneumatic or mechanical suspensions, with one, two, three or four axles, lateral or rear transfer cabinet, single or twin tires…… From the lowest tareweight possible for European countries, till the hardest offroad conditions in Africa and Southern America, we know what you need. 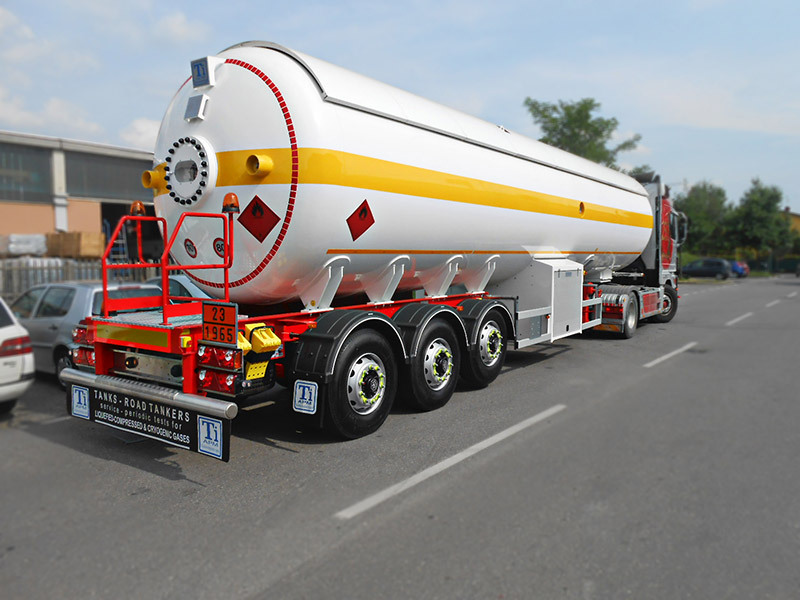 Increased payload – Either because we can supply lower own weights (for Europe) or because we specifically design units to maximize applicable road rules (e.g. 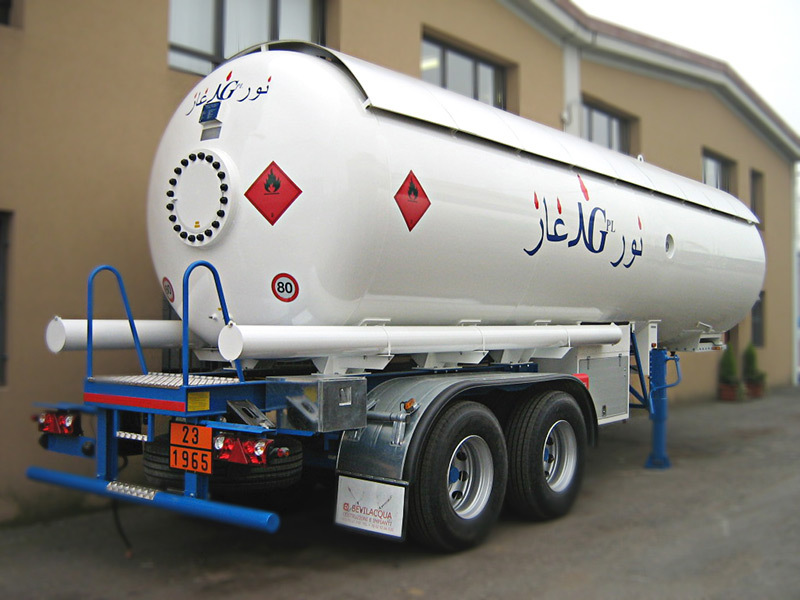 : U.A.E., West Africa) our units helps you carrying more product in every single trip. 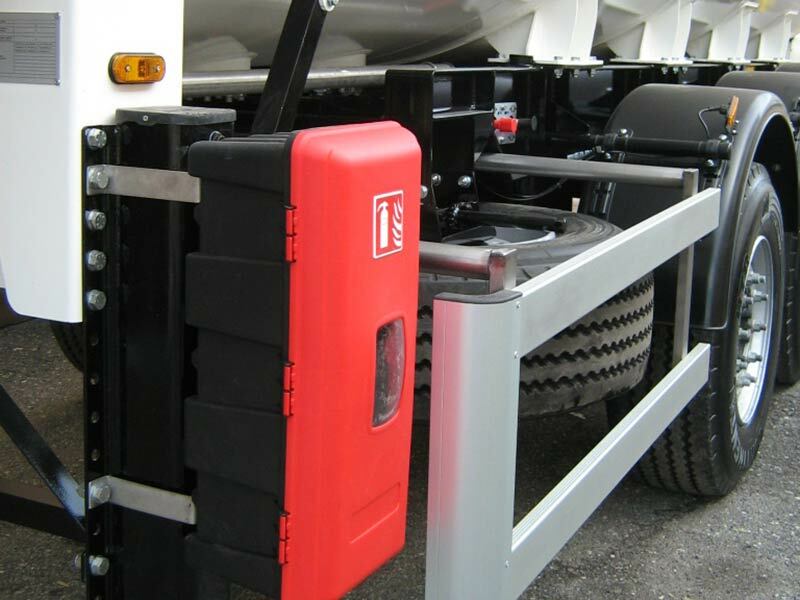 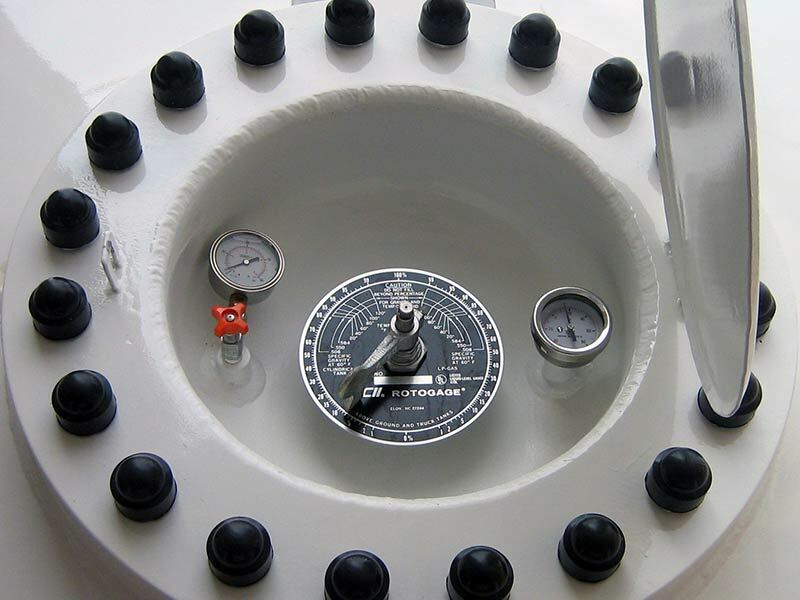 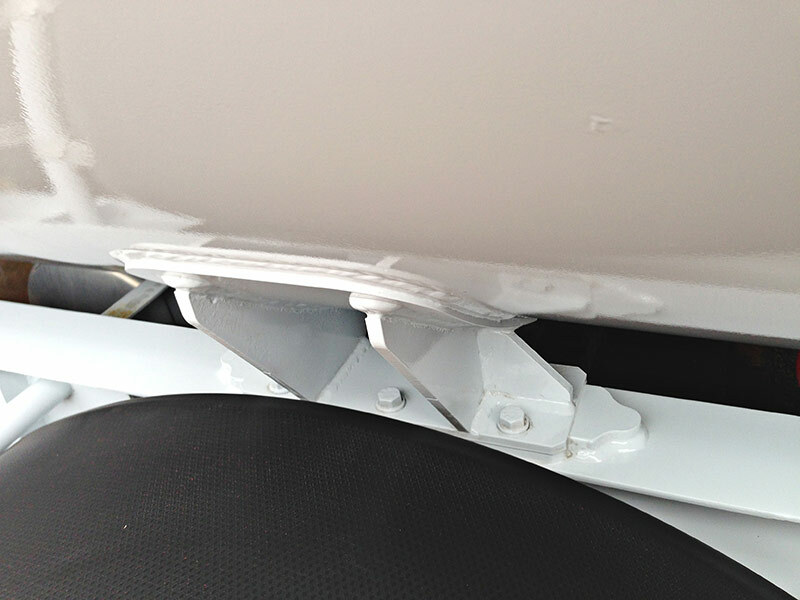 Safety and stability – All our units, no matter what is the final destination, are equipped with E.B.S. 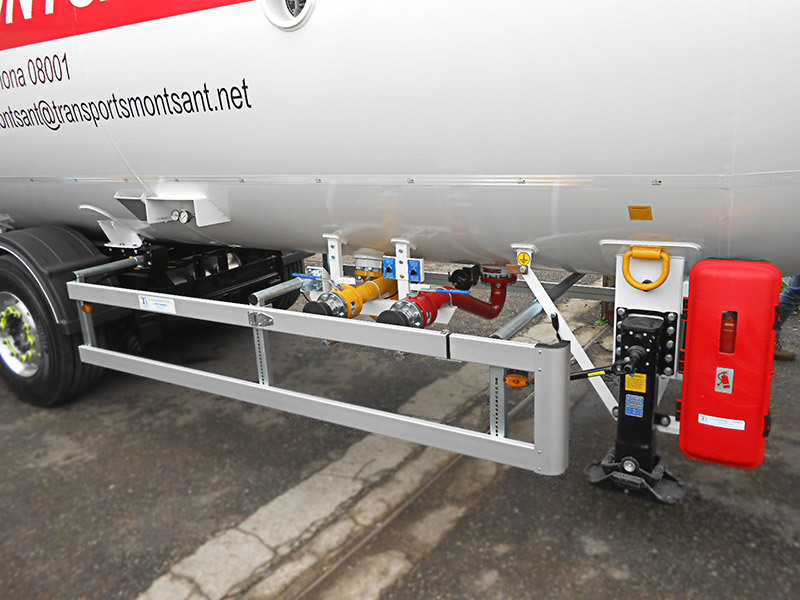 (Electronic Braking System) and R.S.P. 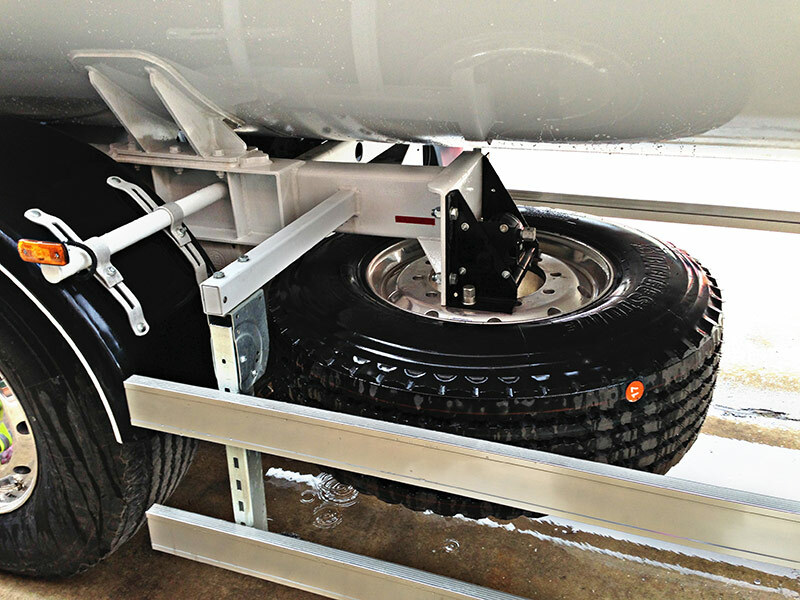 (Roll Stability Program) for whatever axles arrangement. 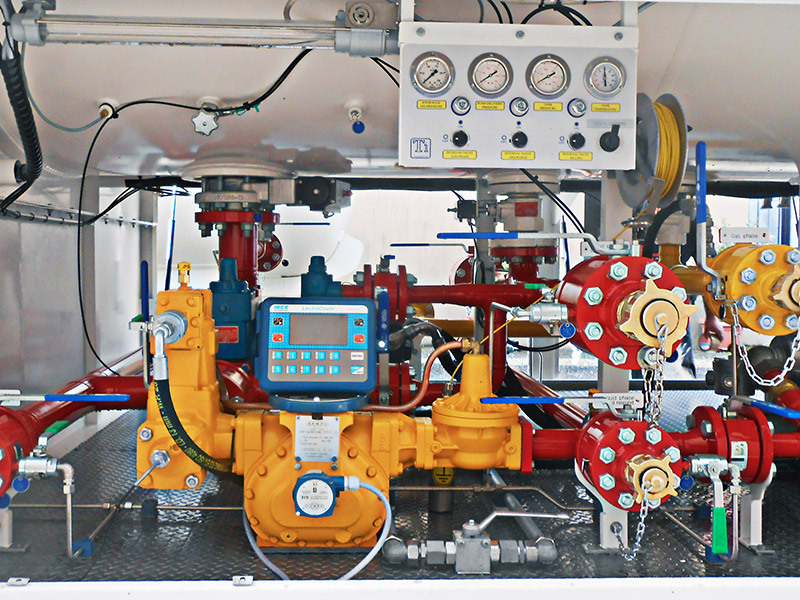 Safe is better than sorry. 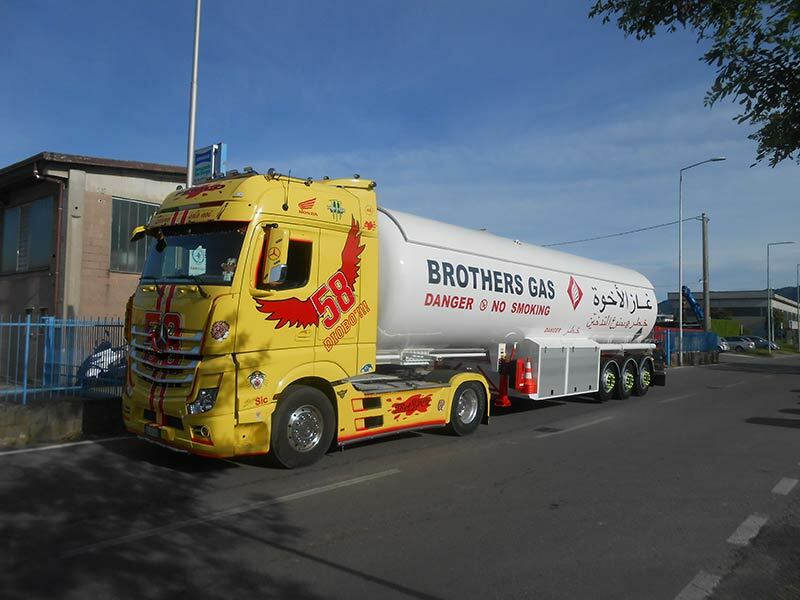 LPG semitrailer 55m3, 3 axles, mechanical suspensions, with lateral transf. 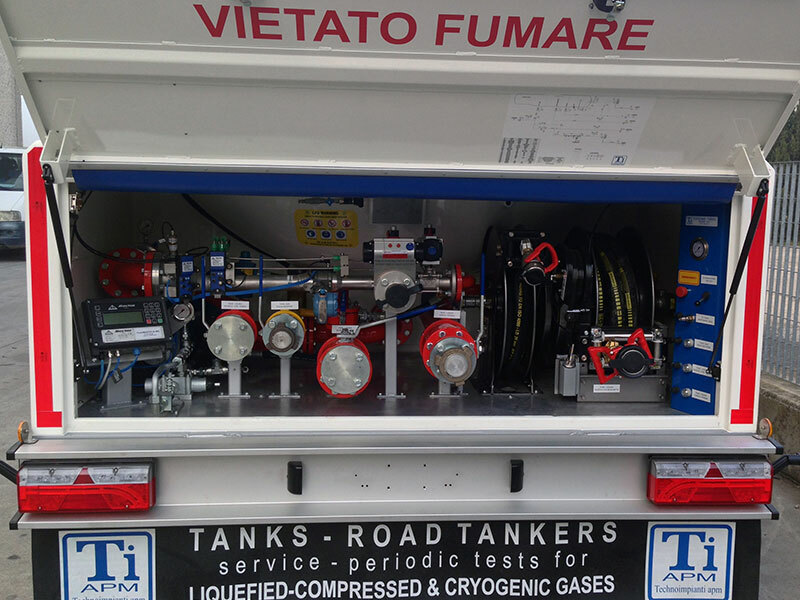 conn., ADR/ASME. 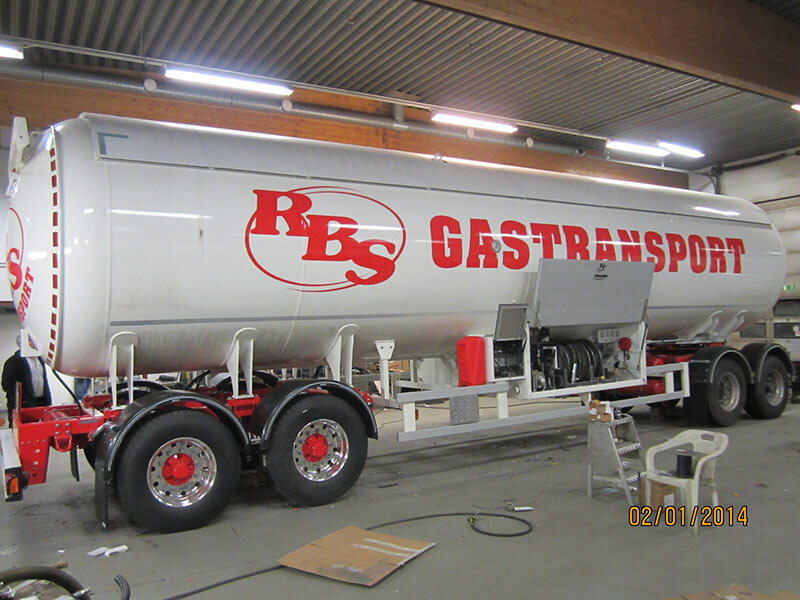 LPG gooseneck semitrailer, 51m3, pneumatic susp., 3 axles, tareweight 11,2 ton. 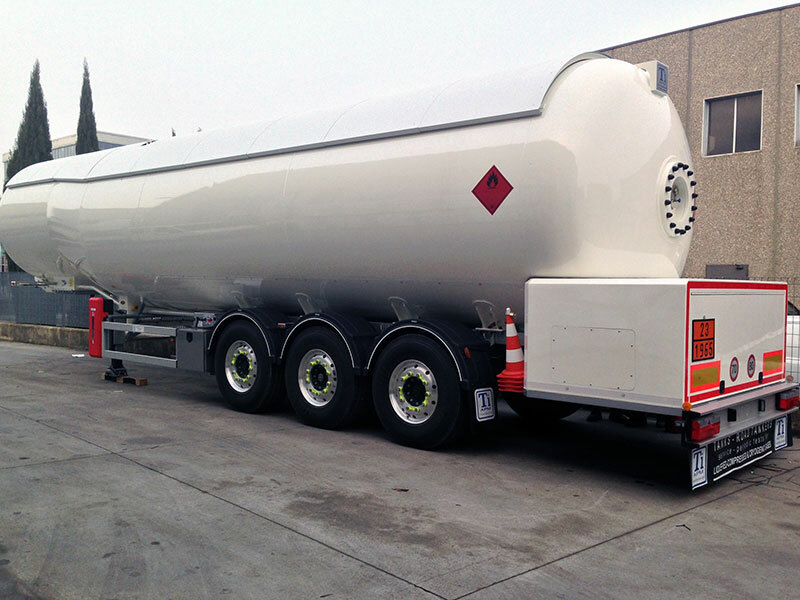 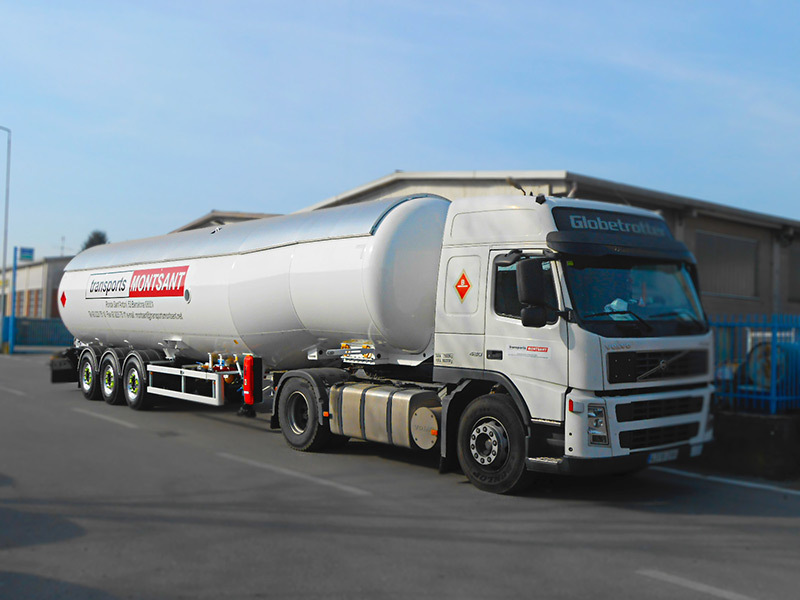 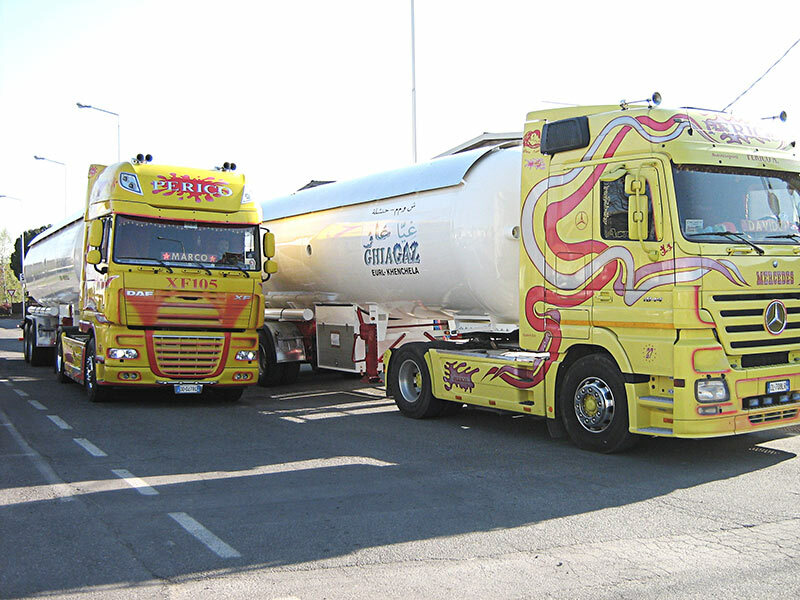 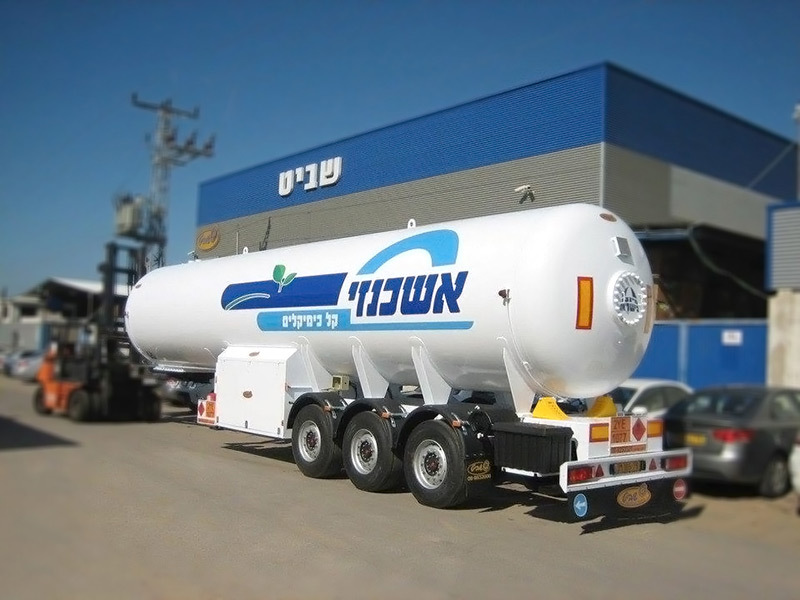 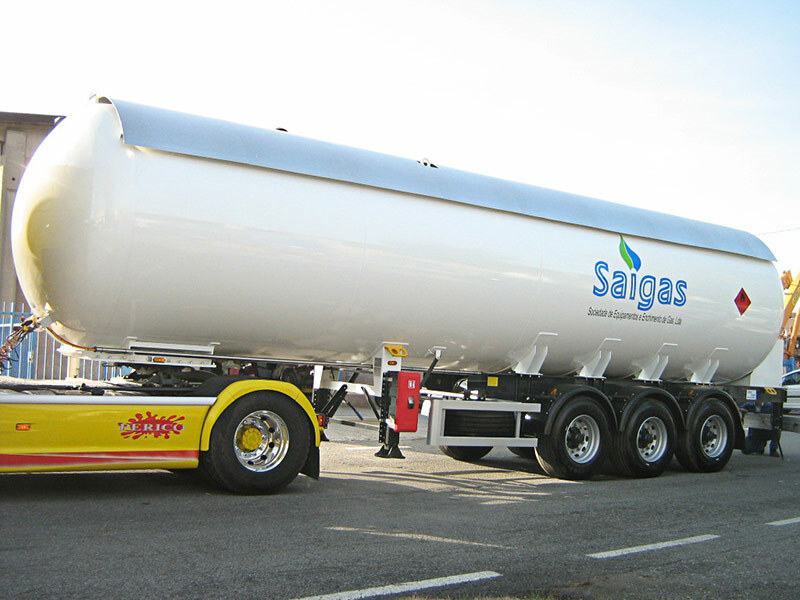 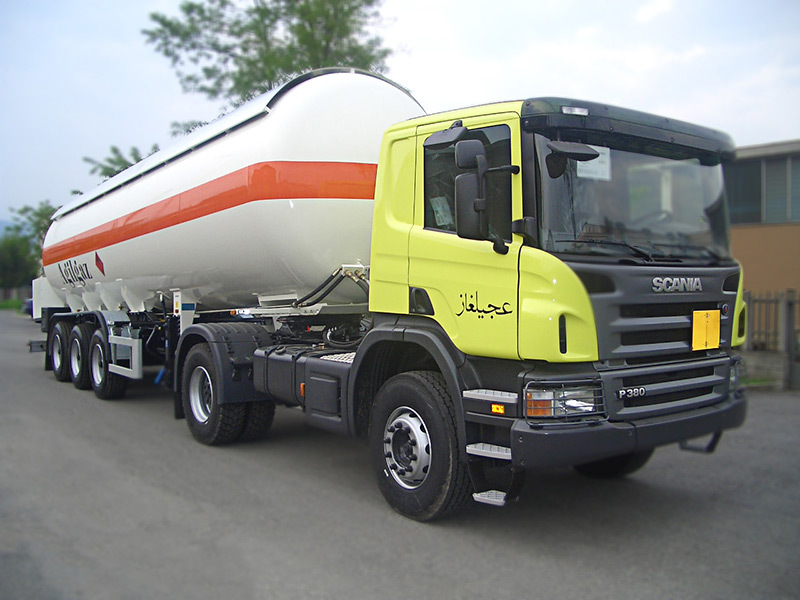 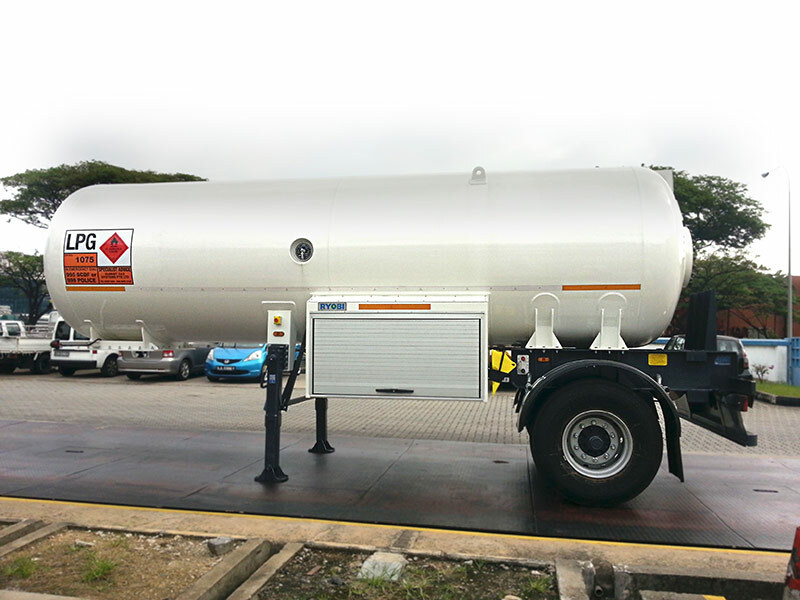 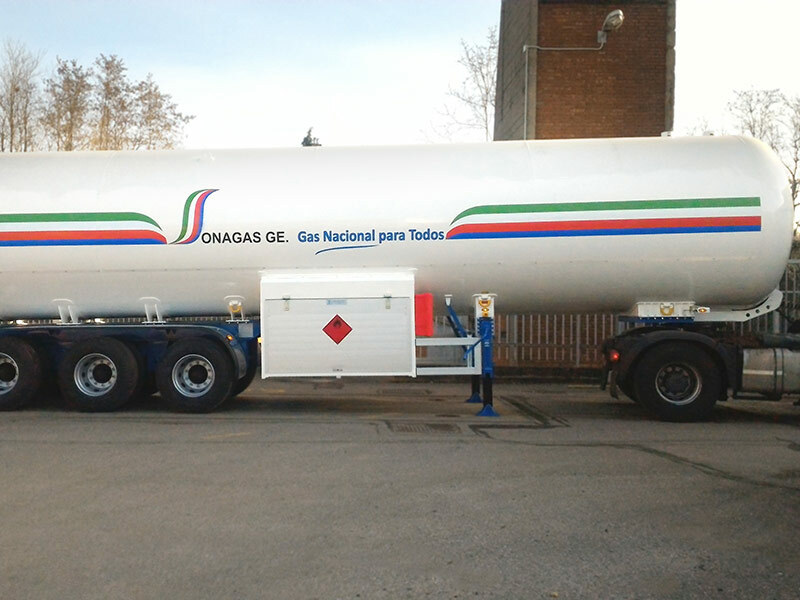 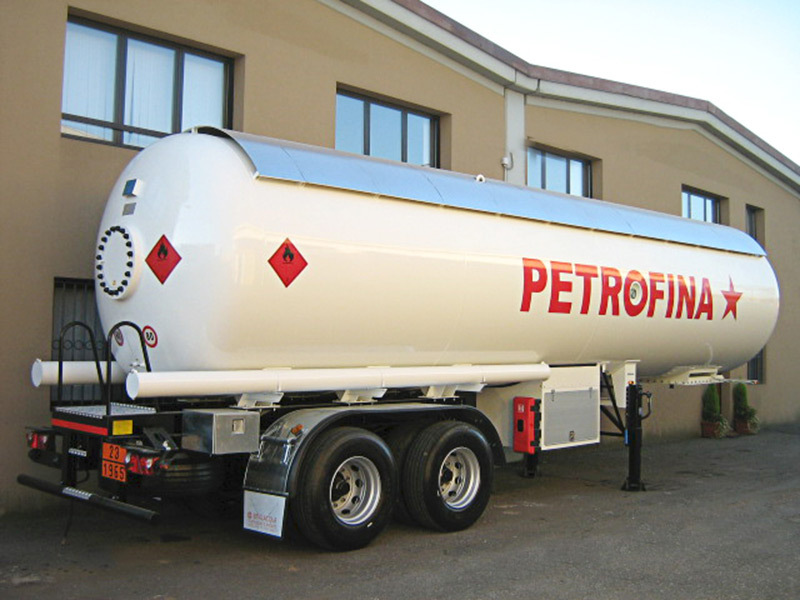 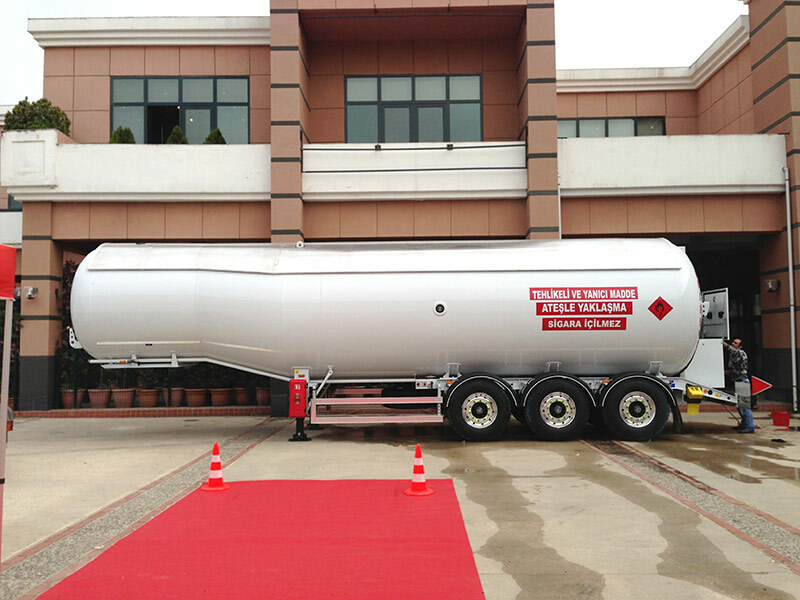 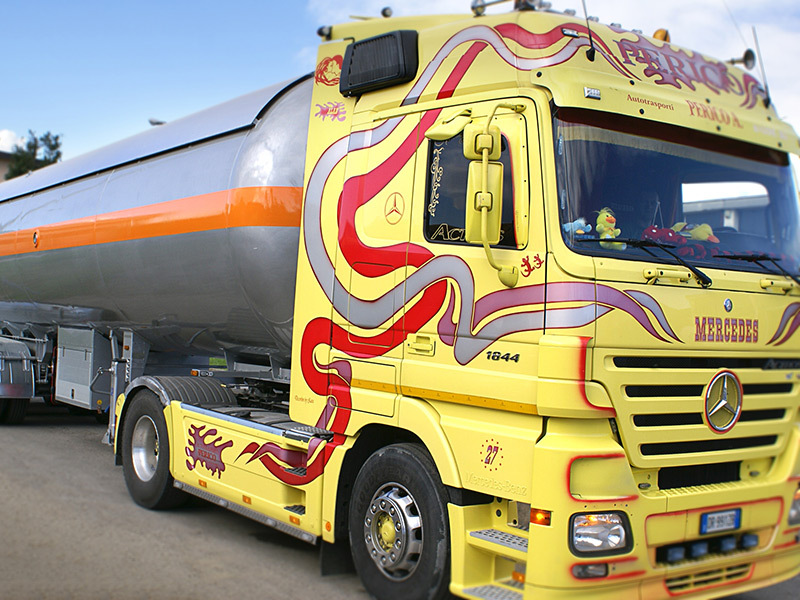 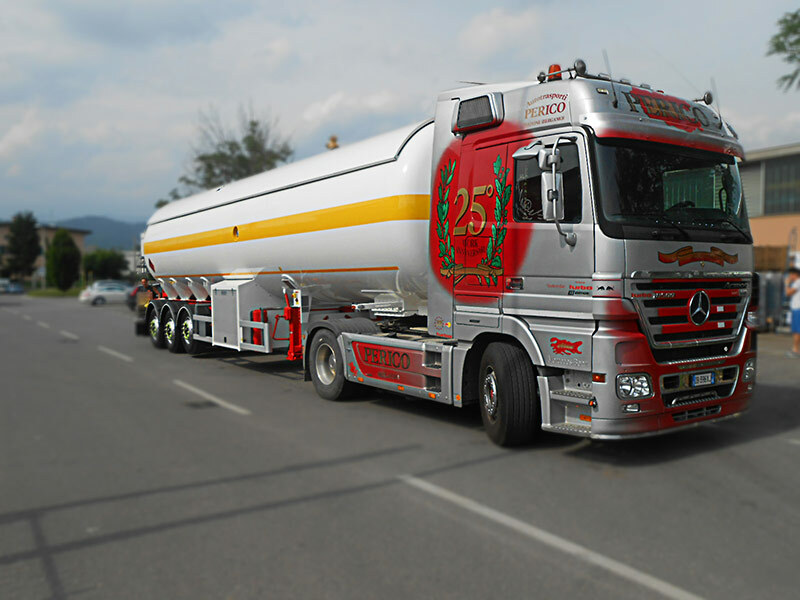 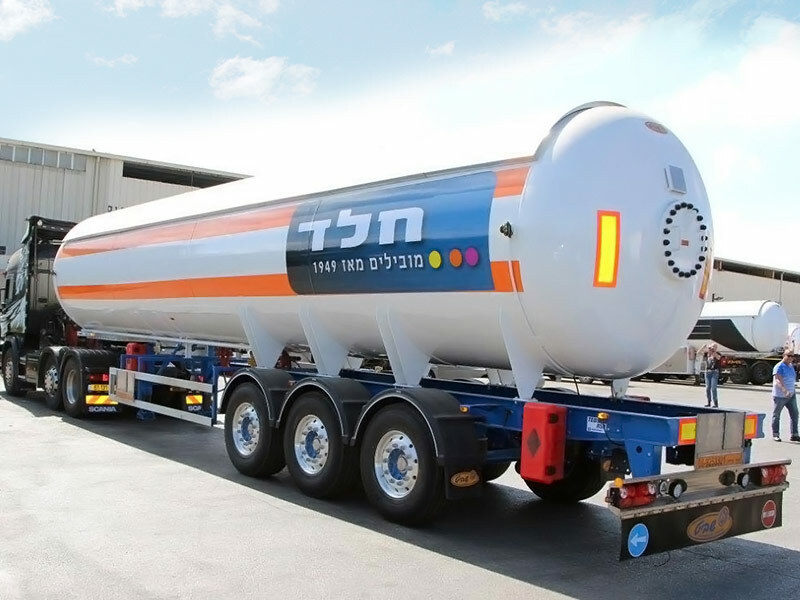 LPG semitrailer, 65m3, 3 axles with mechanical suspensions, lateral transfer point, ADR/TPED.